For us, there is no place like home. Jeff likes to wander a bit more than I do, but we both agree that the Mendocino Coast is a very special place and we are always happy to return home. 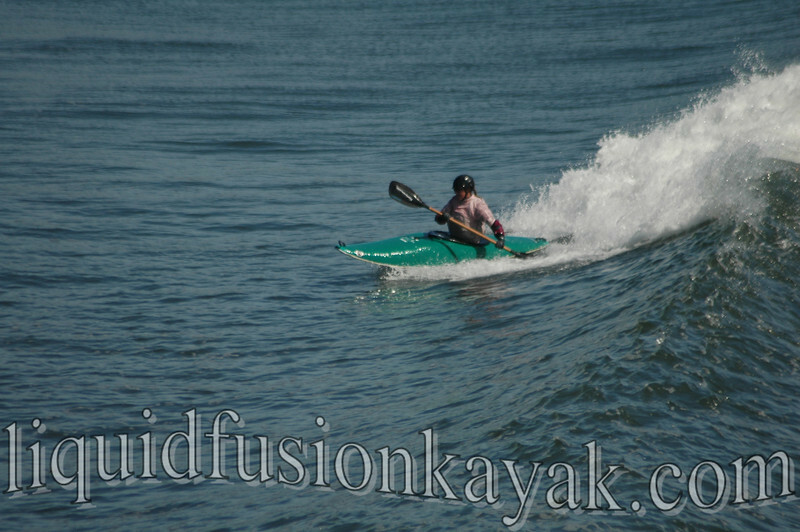 We are just back from a trip to Santa Cruz for the 27th Annual Santa Cruz Paddlefest - formerly known as the Santa Cruz Kayak Surf Festival. Santa Cruz is known for its great surf but also its crowds. As soon as we got there, we went to check the surf and saw waves with hundreds of people in the water. Ugggg - despite the sunshine and nice surf, I was ready to go home to our uncrowded surf breaks and rock gardens. I hung in there though, and we both enjoyed and competed in the event (although we have a hard time thinking of surfing as competition). 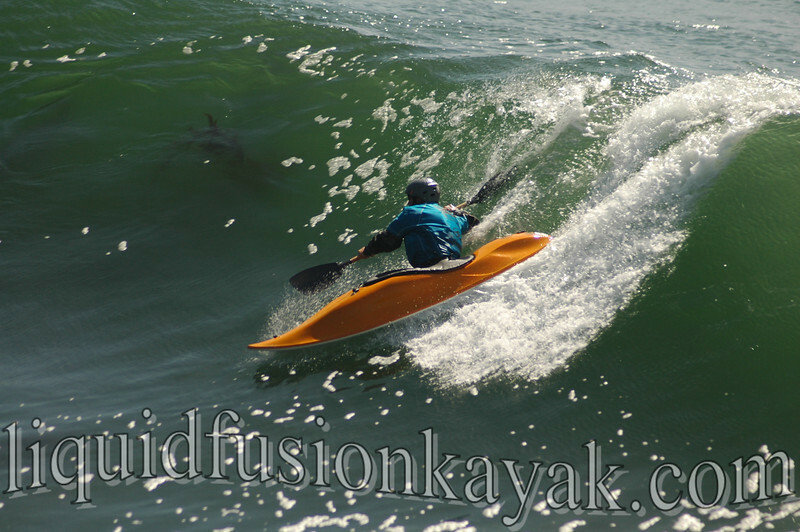 Jeff was in the HP Men's Open with some of the top kayak surfers in the world surfing Steamer's Lane. He got some great waves and enjoyed surfing a world class break with only 3 other surfers. I was in the Cowell's Classic (aka Intermediate Kayak Open) which was at the friendly Cowell's break around the point from Steamer's Lane. I caught some nice waves and scored well (well enough to win first place). Most exciting for us though was getting to see some of our students surfing in the events. We are hoping to rally more of our students to participate next year. The Cowell's Classic was a perfect event for novice and intermediate paddlers. 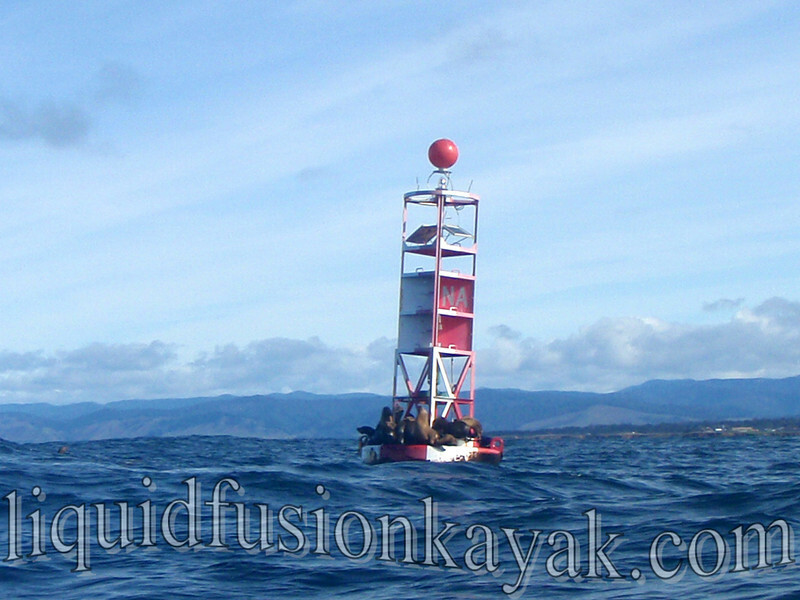 The waves were super friendly and fun and there were safety paddlers out there to help out if necessary. Cate Hawthorne surfing in the 2013 Cowell's Classic photo by Steve Mickel. 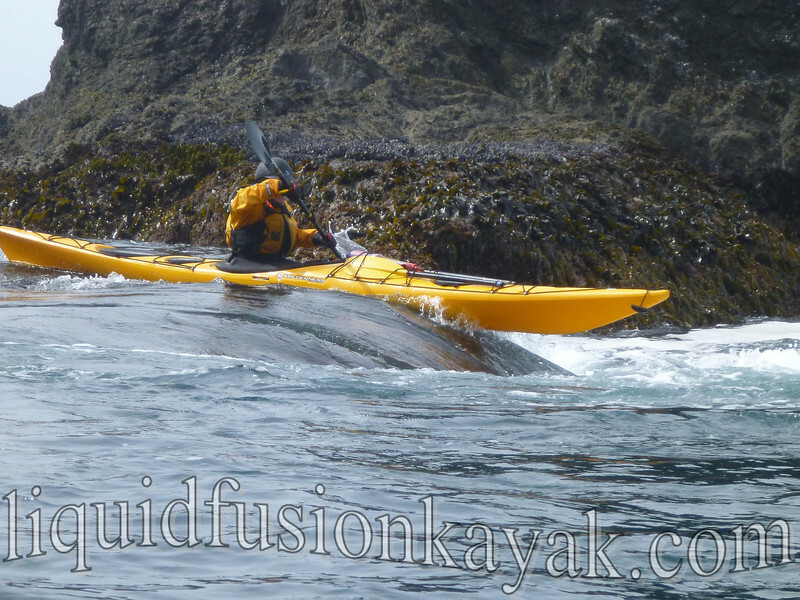 Back on the home front, we are getting lots of phone calls and emails from folks excited about coming to the Mendocino Coast to kayak with us. We are solidifying our spring and summer classes. Our Memorial Day Waves and Caves Weekend is almost sold out and our May and June rock gardening, kayak surfing, and sea kayaking classes are booking. Patty runs her first rock garden pour-over with us. 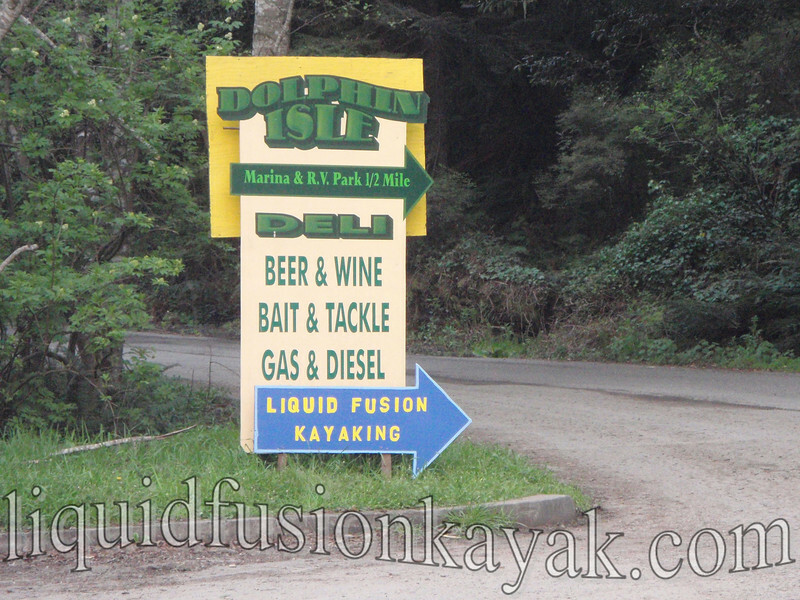 We are repainting our signs and remodeling our kayak rack. 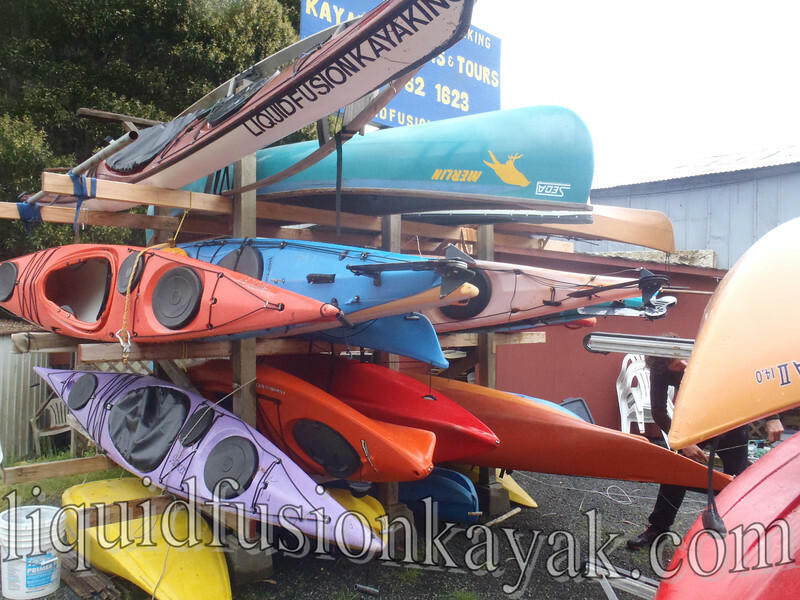 Next week we are expecting a shipment of shiny new recreational and whitewater kayaks. Wahoo!!! Stay tuned for photos of our new boats and racks. Busy, busy, busy, but we are still taking time to watch the migrating gray whales, listen to the birds sing, smell the flowers, and surf some waves. There's no place like home.